Posted on June 14, 2018 by Clara Halpern. that she had turned on its side. There is sometimes an assumption that poetry is too esoteric to be useful. This is not the case in Goodison’s poems, which although lyrical, often impart practical knowledge to the reader. The poem To Make Various Sorts of Black (2013) is an example of this simultaneous beauty and utility. In writing the poem, Goodison was inspired by The Craftsman’s Handbook (1443), a technical guide for renaissance artists by Florentine painter Cennino d’Andrea Cennini, which describes various types of blacks and how they are made. As it happens, Goodison’s own take on these colours proved an inspiring starting point for The Toronto Ink Company, who developed a series of black pigments based on the techniques described in Goodison’s poem. 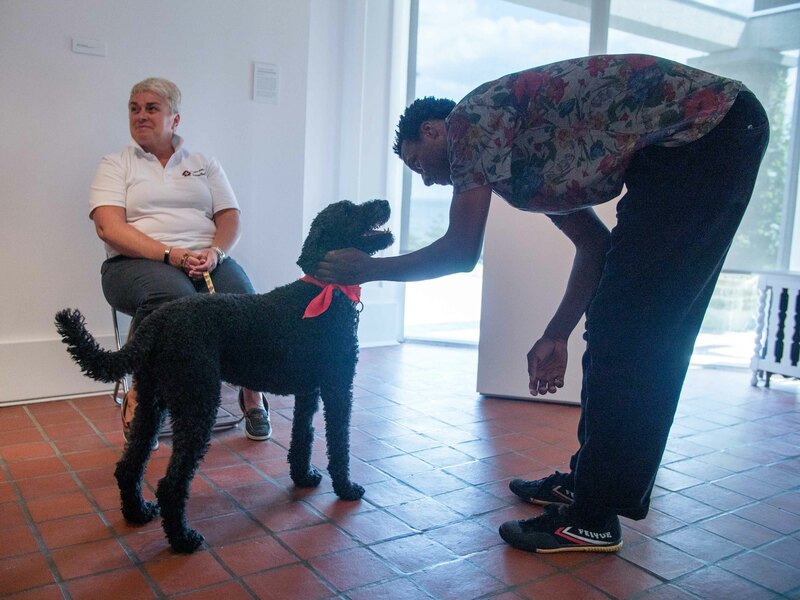 Goodison, currently the Poet Laureate of Jamaica, will be giving a talk at Oakville Galleries on Wednesday, June 27th in parallel with the exhibition An Assembly of Shapes. The exhibition features works in (and related to) contemporary painting; Goodison, whose work is known for its rich visual descriptions, initially came to poetry as a painter. Later in the summer, Jason Logan of the Toronto Ink Company will also be making a trip to the Galleries, to deliver a workshop on street-harvested pigments, similar to those he made based on Goodison’s poem. Image: geetha thurairajah, A Kind of Existence After My Own Heart, 2016, acrylic on canvas. Courtesy of the artist and Projet Pangée, Montréal. Posted on February 20, 2018 by Clara Halpern. In Allison Katz’s current exhibition Diary w/o Dates, references to seasons, calendars, clocks, and diary-writing abound. Rather than an exacting chronology, Katz’s works—and their installation—explore how time feels. In the lead-up to the exhibition, staff in the curatorial office read Marc Wittmann’s book Felt Time, published by MIT Press. In the book, Wittmann takes up recent scientific discoveries that shed light on our understanding of subjective time, exploring how our bodies create a basis for feeling the passage of time, how our perception of time impacts our decisions, and why time seems to speed up as we age. As Wittmann writes: “We are time.” Our perception of time, its duration and its passing has a profound impact on our experience. My grandmother, for example, celebrated her birthday on the wrong day of the year for her entire life due to a mistranslation from the Jewish calendar when she immigrated to Canada as an infant. A few years ago, my dad proudly announced he had calculated the “true” date, but it was too late, she told him: she already had a birthday. 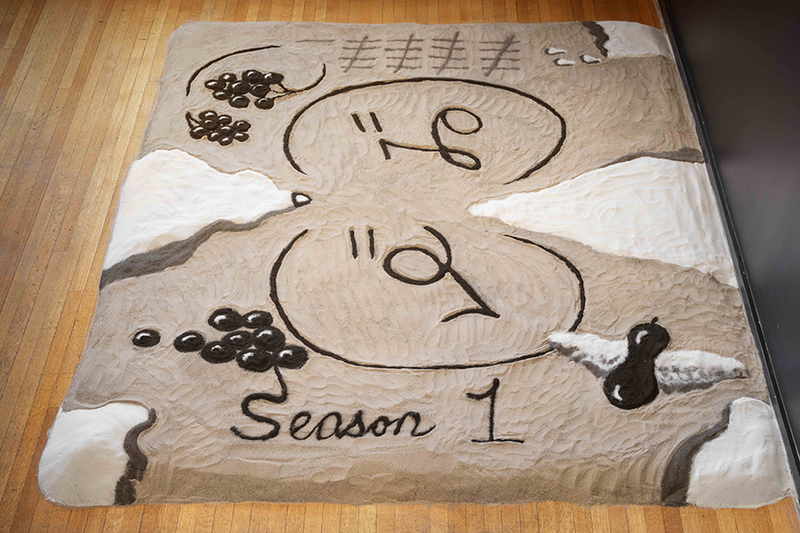 Installation view of Allison Katz, Season 1, 2018, sand, silica. From Diary w/o Dates, Oakville Galleries in Gairloch Gardens, 21 January – 18 March 2018. Courtesy of the artist. Photo: Toni Hafkenscheid. Posted on July 11, 2017 by Frances Loeffler. 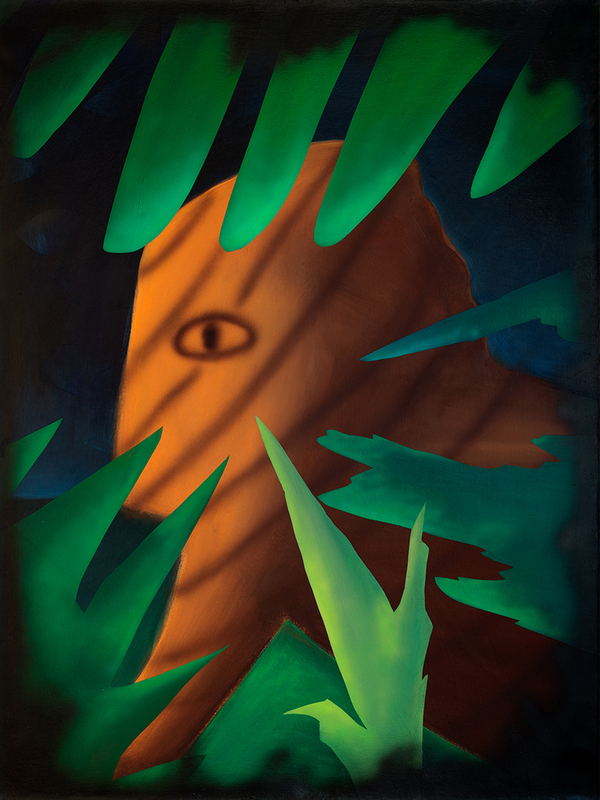 This month the curatorial office at Oakville Galleries has been reading Jane Urquhart’s A Number of Things, a series of meditations on fifty objects, each offering a glimpse into the complex history of Canada’s nationhood. 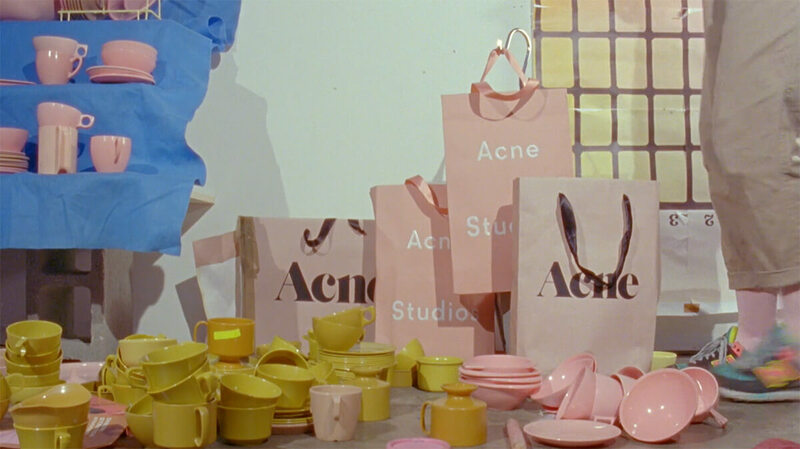 Art, by its very nature, has always been concerned with objects. Our current exhibition, Propped, thinks about how objects take on new meanings when they are used or activated in certain ways. The opposite might also be true: surely we are changed by our interactions with objects; the stories they tell about us, the influence they have on our lives. In the inaugural talk for our new Authors on Art series last week, Urquhart spoke beautifully to these ties, describing how her own life has been enmeshed with and gained meaning from certain objects—from crockery and a pair of slippers to photographs, homes and memorial stones. Image: Visitor with Abbas Akhavan’s work. Photo: Mike Dopsa. Posted on April 20, 2017 by Frances Loeffler. Staying on theme, next on our reading list is Fifteen Dogs, a novel by André Alexis about a pack of dogs that the gods Apollo and Hermes have imbued with human consciousness and language. A perfect accompaniment to Sojourner Truth Parsons’ exhibition down the road at Centennial Square. 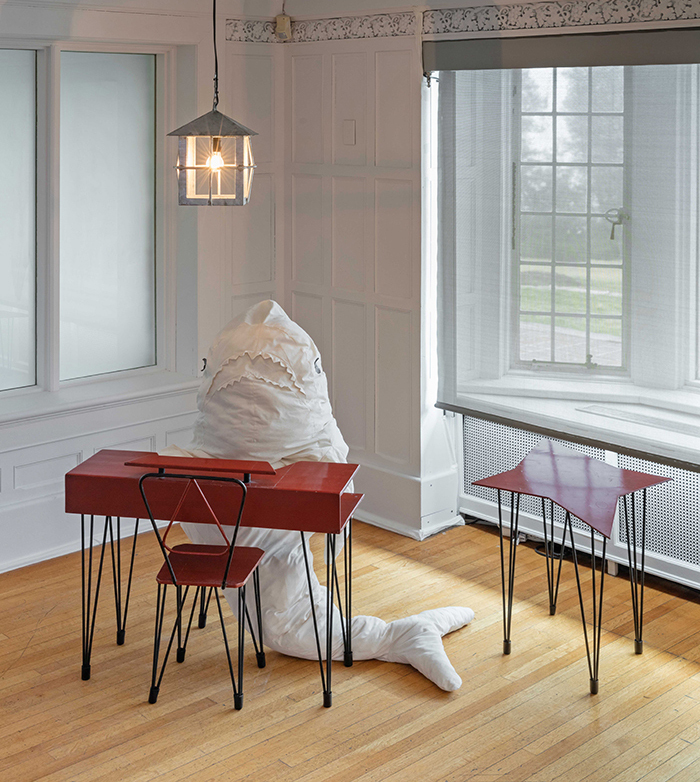 Image: Installation view of Cosima von Bonin, HAI AM TISCH 1, 2014. Courtesy of the artist and Galerie Neu, Berlin. Photo: Toni Hafkenscheid.